Today is my birthday. As I think about my future, I also think about the future of Burma. Where will it go 10 years from now? 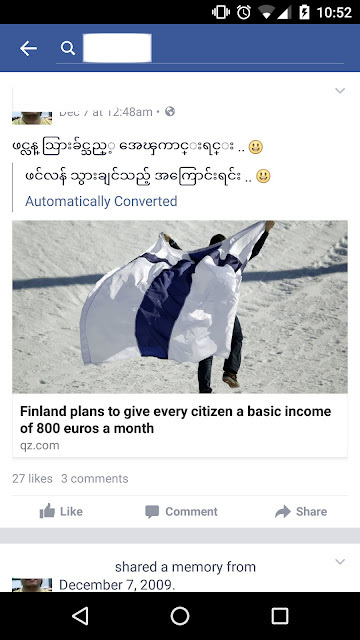 I hope I can do something for Burma. I thought about Ko Htay Kywe and other Burmese student leaders. Reuters has the news about the 88-generation student leaders facing legal action. I have to say that I respect them much for their sacrifices. From his location in hiding, Htay Kywe told The Irrawaddy, "With the cooperation of the people, we are ready to break through all obstacles if the political and economic impasse in Burma persists." 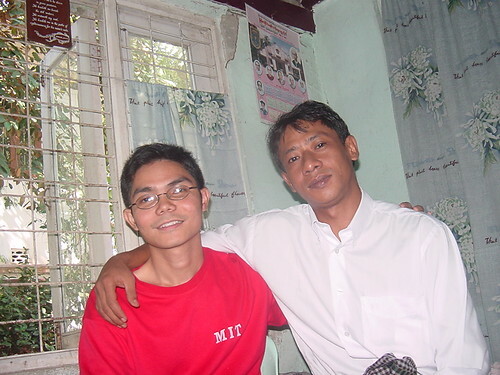 Htay Kywe (ဌေးကြွယ်) and Lwin Moe (လွင်မိုး), originally uploaded by lwinmoe. Ko Htay Kywe (ဌေးကြွယ်) and me. The picture was taken on December 1, 2004. Ko Htay Kywe spent about 14 years in prison for his political involvment in 1988 student movement.